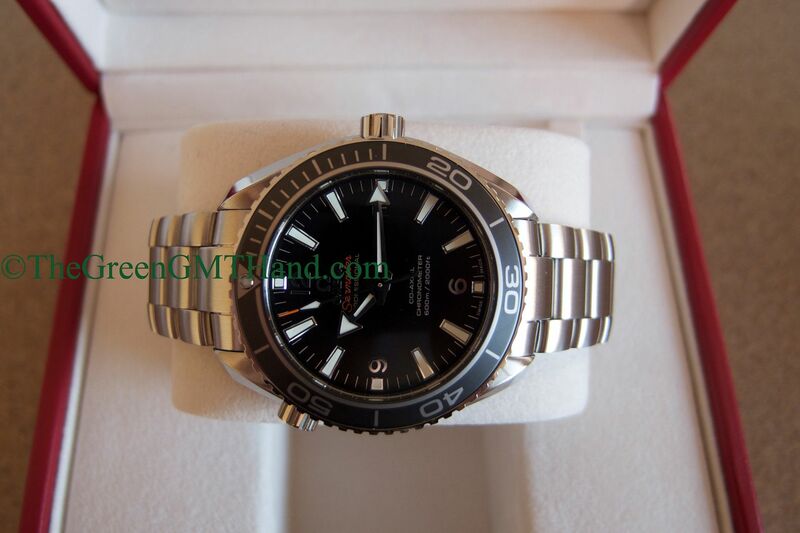 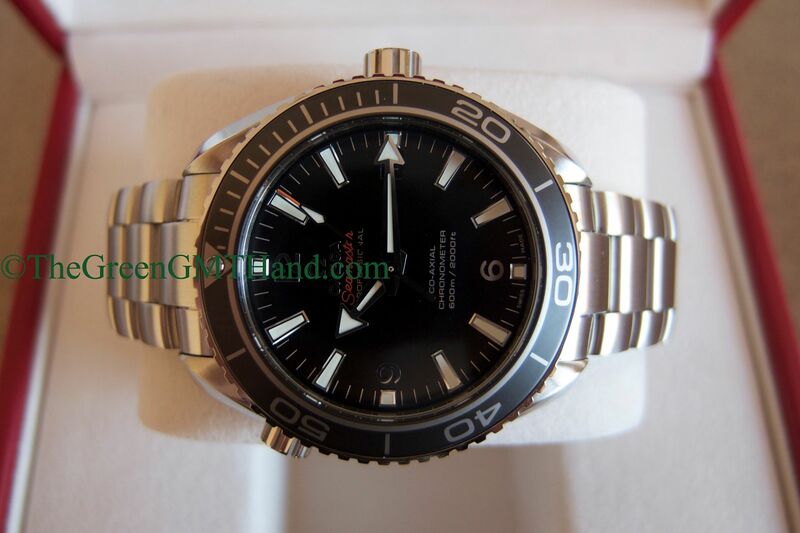 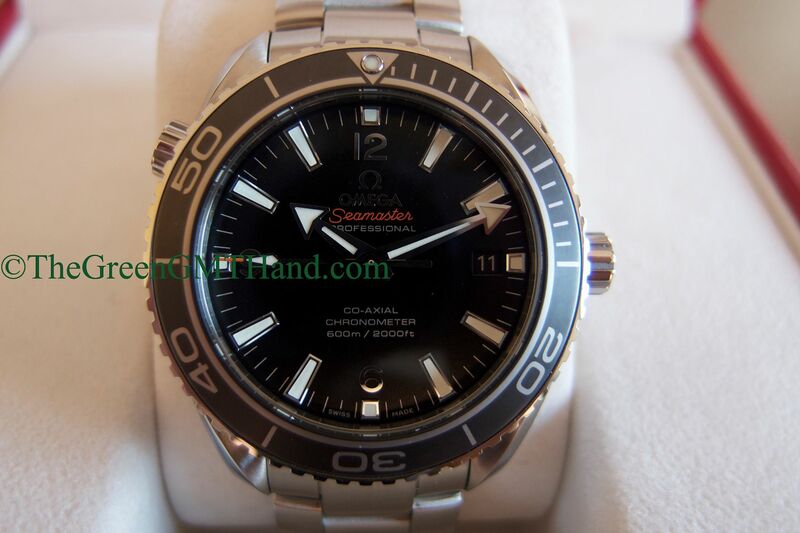 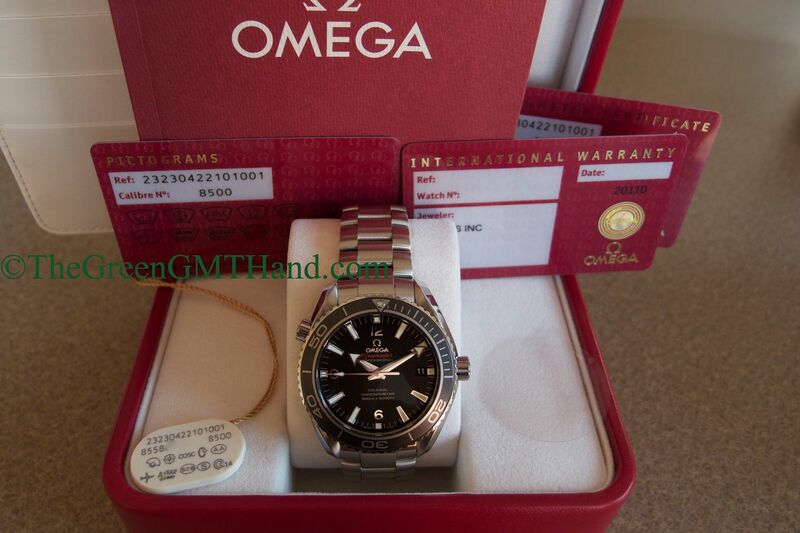 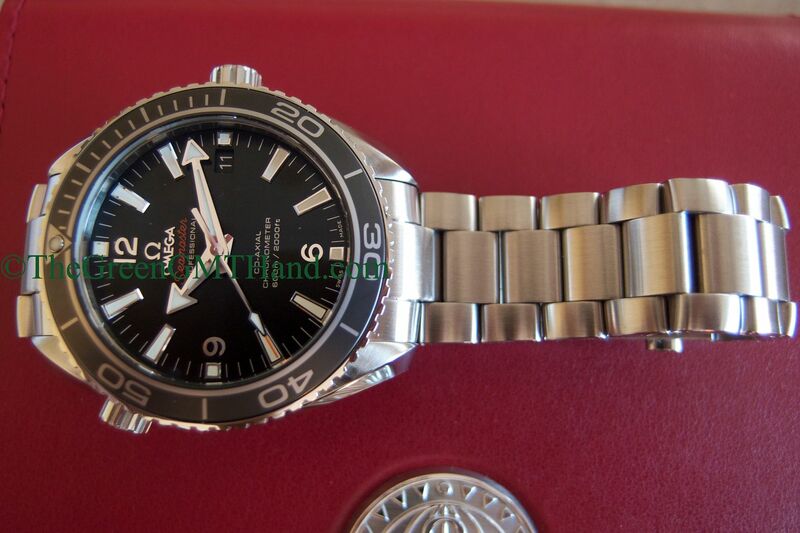 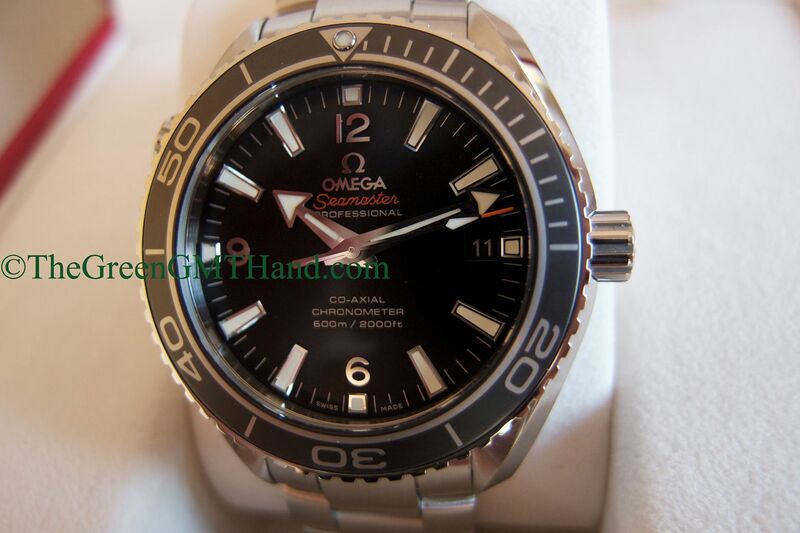 We SOLD this new Omega Planet Ocean Ceramic 42mm 232.30.42.21.01.001 after acquiring it from an USA authorized dealer, and delivered to our client in brand new sealed condition. 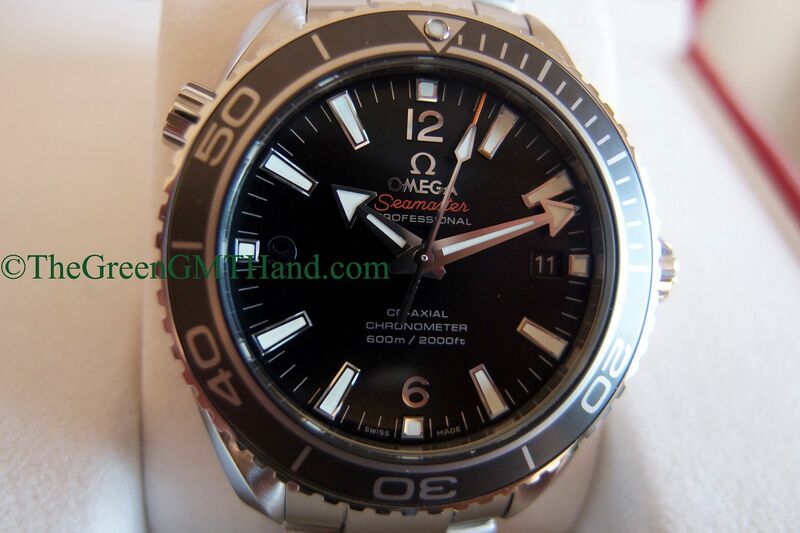 This PO is 42mm and reaches a dive depth of 2000ft/600m. 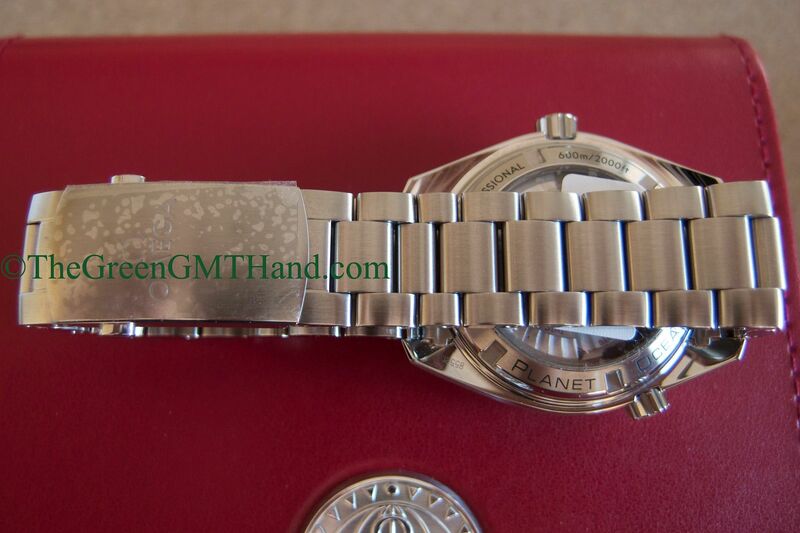 It boasts the newest Omega 8500 movement, which is designed and manufactured completely in house by Omega. 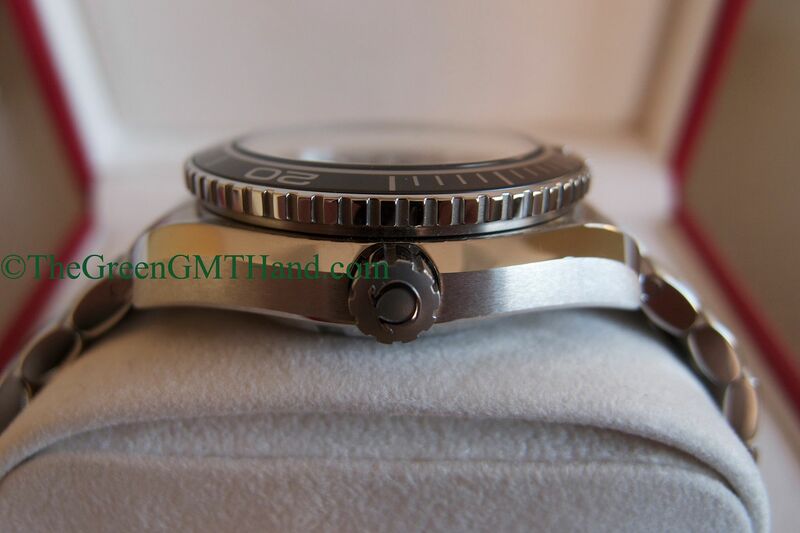 The co axial movement beats at 25,200 beats per hour, has 39 total jewels, and runs on a full power reserve of 60 hours. 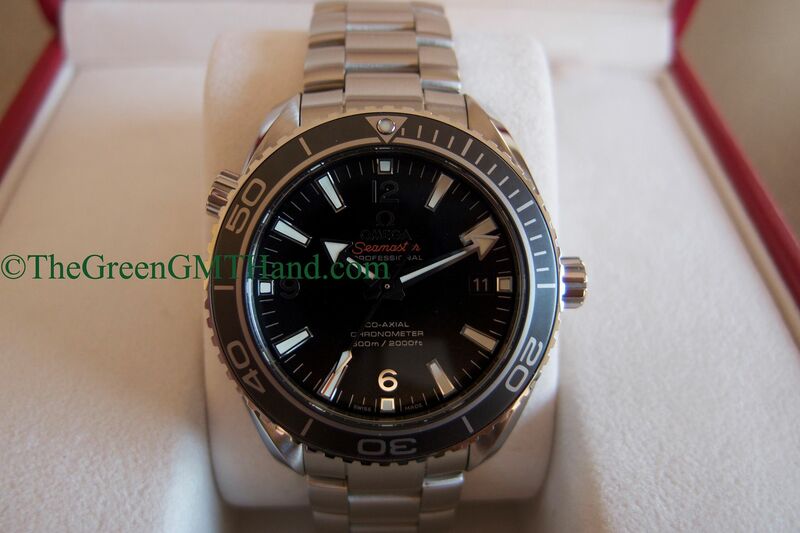 The helium escape valve is different from a Rolex Sea Dweller or Deep Sea HEV as the Omega HEV is at the 10 o’clock position and looks like an additional crown. 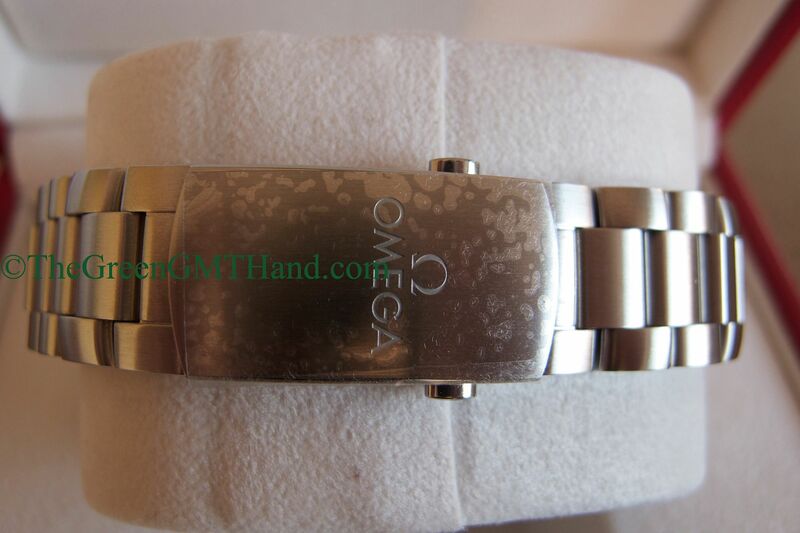 The bezel is made of ceramic, and rotates unidirectionally. 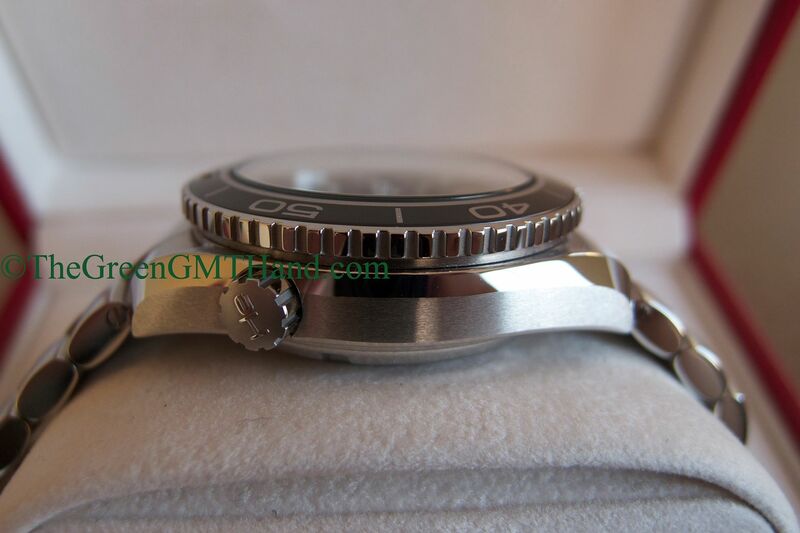 Lastly, the caseback is sapphire display see through, allowing the owner to view the well decorated 8500 movement. 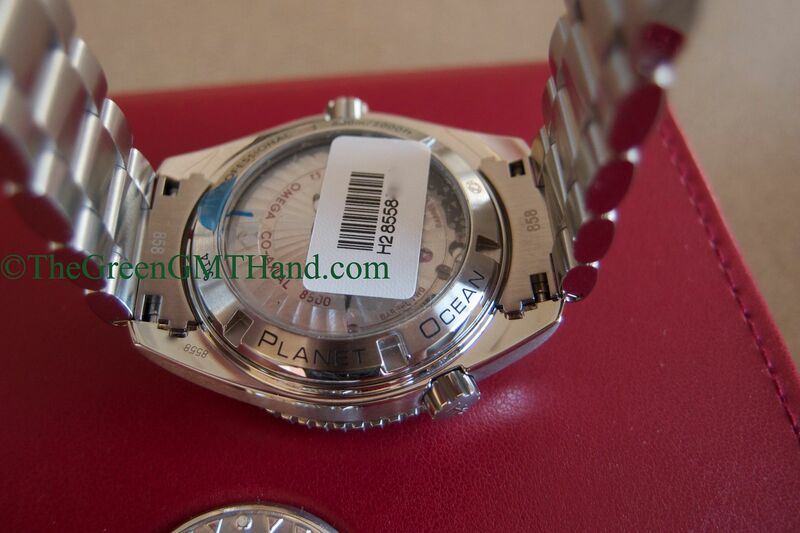 The Planet Ocean comes in 38mm, 42mm, and 46mm sizes.